If words “Cloud” and “Integration” are something you are interested in and you are in search of some products/services in this area, then this book review is for YOU! 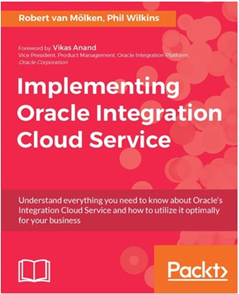 This is a book review on the book “Implementing Oracle Integration Cloud Service” written by Robert van Mölken and Phil Wilkins – on PACKT. For more information visit this link. Book contains the following chapters: Read the whole review here.